All Products > "53340 Tamiya 1/10 60D Reinforced Tyres"
Tamiya 1/10 60D Reinforced Tyres. Suitable for M-Chassis cars only. Constructed from aramid fibres enabling high endurance and consistent performance. Type 'A' refers to the track temperature on which these tyres work at their best. 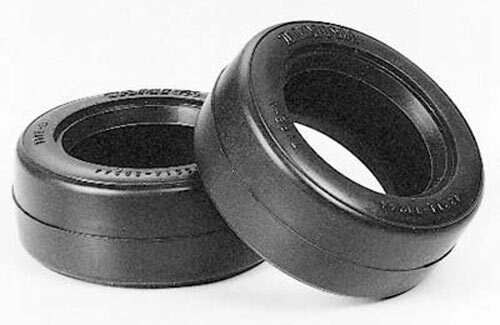 Type 'A' tyres are best for colder tracks; on these surfaces they offer the most grip. On very hot days where the tarmac is hot to the touch, Type 'B' offer superior performance and should be selected. Typically, in Britain, Type 'A' would be the best year round bet.